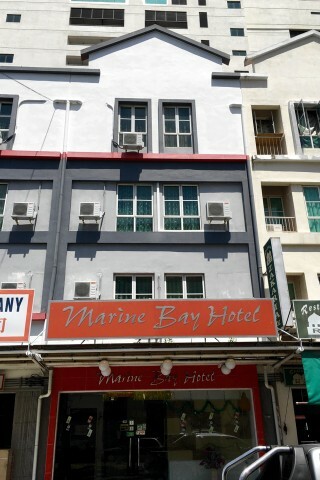 Opposite Sandakan Central Market, neat and simple Marine Bay Hotel overlooks the waterfront. 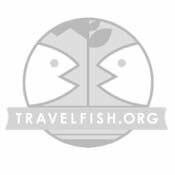 Average rating 7.2 from 49 reviews. There’s not a lot of space for cat swinging in the tiny rooms, and in a few twins and triples, you’ll have to jump from one bed to the other, but rooms are comfortable enough and some offer sea views through smallish windows. Despite the diminutive size, rooms are bright and light-filled, and along with warm wood laminate floors and pale walls, the ambience is calming and cosy rather than cramped. Rooms are clean, air-con and furnished with comfortable beds sporting crisp white linen and bedside tables and lamps. Window drapes are both sheer and heavy light-blocking, good for a holiday sleep-in. Open hanging space and benches provide storage, and you can watch TV or make yourself a cuppa, but instant coffee only. Superior rooms offer substantially more space plus a minibar. Simple, smart and spotless bathrooms have hotwater showers. WiFi is free. Breakfast isn’t included, but the market opposite opens early and the top floor is full of food stalls. Marine Bay Hotel is good for a comfortable sleep, although you won’t want to be hanging around all day, and the location is excellent for early morning photography of the comings and goings at the Sandakan Central Market—a good no-frills flashpackers choice. Nak Hotel offers simple and calm rooms with a bit more elbowroom. Check rates at Marine Bay Hotel on Booking.com. Back view. City view: 98 ringgit. Room: Standard double room, low season: 88 ringgit, high season 88 ringgit. Notes: Back view. City view: 98 ringgit.